8 THOTTAKKAL LADY'S NEXT FILM VIDEO SONG IS HERE! Actress Aparna Balamurali has been on a roll after the success of her debut 8 Thottakkal, directed by Sri Ganesh. She has bagged a role in GV Prakash's film with Rajiv Menon that is titled Sarvam Thalam Mayam. The other film that she signed is Theethum Nandrum, which is touted to be an emotional thriller. 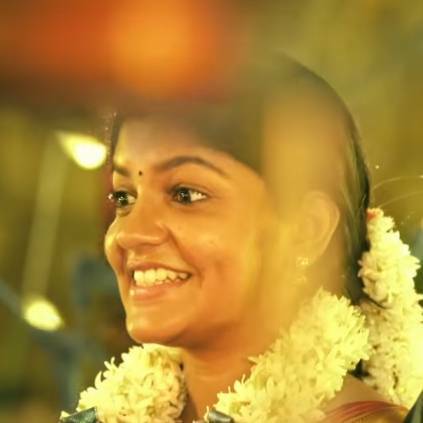 The makers of the film have released a video song titled Vaazhayadi Vaazhayaa featuring Rasu Ranjith and Aparna Balamurali. The music is composed by C.Sathya and this song is sung by Gana Bala. Muthamizh has written the lyrics. The film is also directed by Rasu Ranjith and produced by H.Charles Immanuvel under the banner Hari Silver screens. People looking for online information on Aparna Balamurali, Rasu Ranjith, Vaazhayadi Vaazhayaa will find this news story useful.